So recently I was introduced to an awesome brand called Coconut Lane. 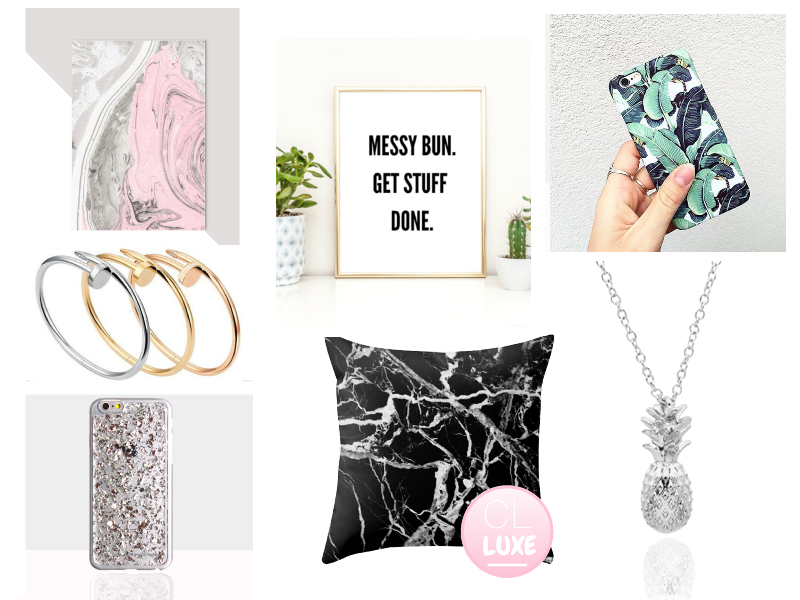 They sell a bunch of amazing stuff from phone cases and jewellery to cushion covers and prints. Upon finding out about this brand, I've become an ambassador for the brand - a Coconut Queen! And will be doing a cute mini haul from them very soon. With that in mind, I made a wishlist with all the things I want to buy when haul day comes along. My jewellery style has really toned down over the years and I'm really into simple novelty jewellery rather than big and bold so when I saw these nail bangles and the pineapple necklace, they were right up my street! On top of that, I'm struggling to pick a new phone case as I've got bored of mine. I know I'm going to love any of them, but I'm definitely into these two for their bold print and simplicity. And not that I need anymore notebooks or decor, but I adore their stationery section. This print is my favourite and so is that cool printed notebook! If you'd like to shop Coconut Lane, I have a special discount code they gave me especially for you guys! You may have seen it on Twitter a couple of times, but here it is in case you haven't followed me there. Love your picks! Very cute wall art! The phone cases on that site are mega cute, great site for buying presents for friends. Awesome brand with name Coconut Lane sell a bunch of amazing stuff with good discount codes from phone cases and jewellery to cushion covers and prints.